Are you or someone you know on probation or parole and the differences seem unclear or confusing? What’s the difference between probation and parole? Don’t let perplexing legal jargon take advantage of you! 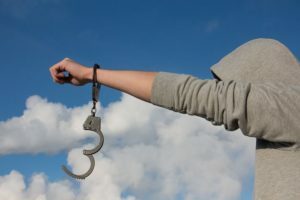 This helpful article aims to provide you with some of the basic differences between probation and parole so that you can be more informed. Sometimes it seems like the terms “probation” and “parole” are used interchangeably, as if they mean the same thing. This is not the case, but there are some important similarities. Below is a list of some of the basic similarities between the two. Both are alternatives to incarceration. Both involve supervision and require the offender to follow certain rules and guidelines. Both mean that the offender has to submit to warrantless searches, without probable cause. The defendant may have to follow curfew rules. The defendant may have to participate in rehab or education programs. The defendant may have to submit regular drug tests. A probation officer will supervise the defendant. Probation can last between 1 and 10 years. The defendant may have to stay in a halfway house. The defendant may have to continue to pay various court fees. A parole officer will supervise the defendant. A parole board, not a court, determines the conditions of parole. If the defendant violates parole, they do not have the option of a jury trial. Lastly, if you’ve violated probation or parole, you still have rights that need to be protected! It’s important to know the difference between probation and parole. Contact Mark Catanzaro, your New Jersey probation and parole attorney, and he will defend you!